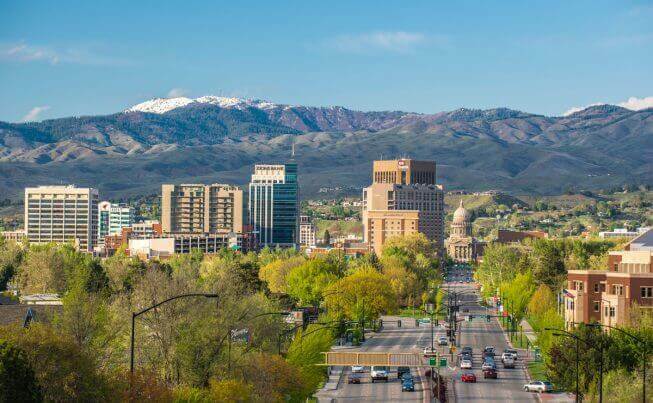 Exploring your dream of owning your own business can be a leap, but Idaho makes it easier on entrepreneurs by offering the third-lowest cost of living among the 50 states according to Business Insider. The publication also ranked Idaho as 6th best in terms of opportunity share of new entrepreneurs in the U.S.
Motto: Let it be Perpetual. Forbes ranked Idaho #11 in the nation for its growth prospects. The cost of doing business in Idaho is 1.3% below the national average, according to Forbes 2017 state rankings. Among the 50 states, Forbes ranks Idaho as 14th in economic climate and the 20th best state overall for business. Idaho offers a tax credit of up to 30% for up to 15 years on new state tax revenues generated by companies seeking to expand in or relocate to the state of Idaho by adding new, qualifying jobs.